Organic Valley is a cooperative of over 1,600 farmers across the country and they intend to replace “doctor” and “lawyer” with “organic farmer” as the new, cool career choice for budding adults. The co-op is gearing up for a national recruiting campaign, visiting universities such as Harvard and Brown–kind of like the Army or Marine Corps, but this time for a war of carrots and celery. The tour will be a two-week road trip from Wisconsin to Washington, D.C. and will be led by 18-to 35-year-olds who have chosen organic farming as their career paths. 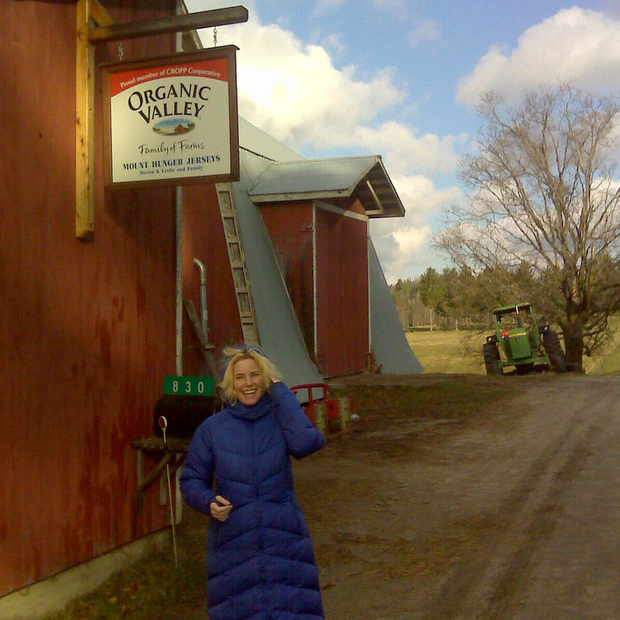 They want to educate and inspire fellow Americans to be more proactive about their food choices and show how organic farming can be a viable career path, as the Organic Valley Coop itself is already 22 years old. “Our Generation Organic represents a new crop of farmers and sustainable agriculture leaders. These young people are the new faces of agriculture,” said Organic Valley C-I-E-I-O, George Siemon. Such a statement is bold, given that those in their late teens and early twenties are often fickle about jobs and career choices, changing every year or so, and it may be a bit premature to say they are the future, without several years of farming already under the belt. But it does seem to be a growing trend for young urban hipsters to leave their jobs and join such farms, especially in upstate New York. And in areas such as the Pacific Northwest, online matchmaking hubs between buyers and farmers, such as FoodHub, are taking off. FoodHub just announced a revamp of its site and boasts over 600 active users (which is tiny, but it’s growing nonetheless). Cheers to the new Organic Army. Look forward to tasting your service to the country.